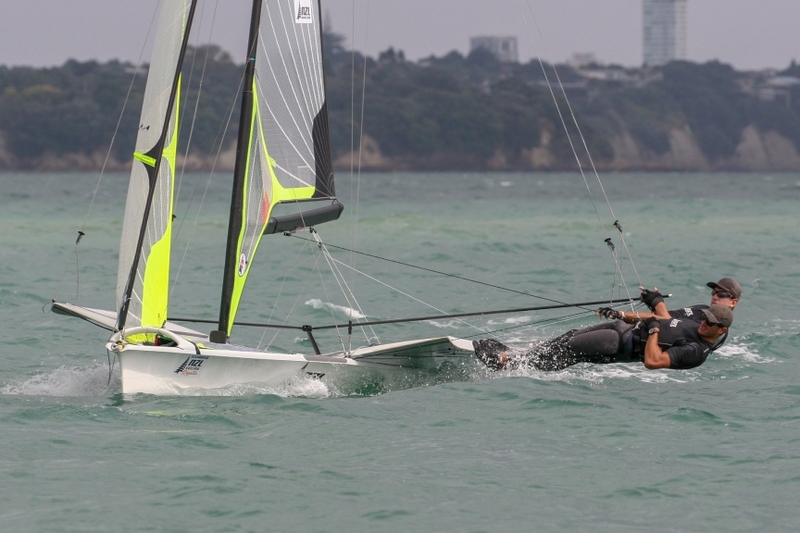 Peter Burling and Blair Tuke won the Oceanbridge NZL Sailing Regatta this weekend, comfortably taking out the event by 14 points over second placed Isaac McHardie and William McKenzie. The Oceanbridge NZL Sailing Regatta is New Zealand's premier Olympic and youth classes regatta and more than 150 competitors have lined up at the Royal Akarana Yacht Club. Burling and Tuke who have been out of the class since their Gold medal win in Rio - fitting in an America's Cup campaign and a Volvo Ocean Race – won six of the 11 races of the 3 days event. “It’s been great,” Burling said. “It’s been a little like riding a bike; a lot of things come back really quickly. At the end of the day you need to put in a lot of time and that’s we’ve been doing over the last four or five months. Having to merge their America’s Cup commitment with the Olympic campaign and with the Tokyo Olympics only 18 months away, the process of qualification becomes a focus later in the year. Pete and Blair will soon head to Europe to measure themselves against the rest of the 49er fleet, starting with April’s Princess Sofia regatta in Palma.